Is your bathroom stuck in the 80’s? If your bathroom is completely outdated, but you don’t want to spend a fortune on remodeling, I have some tips to refresh the look without breaking the bank. 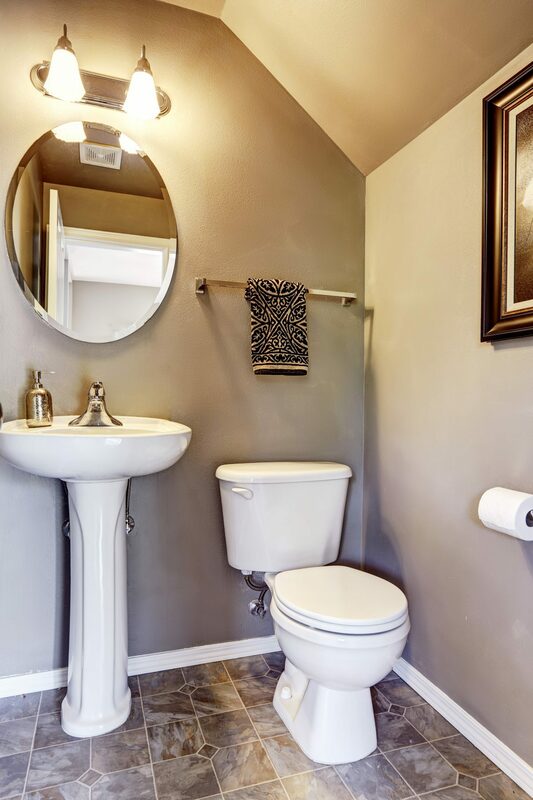 You don’t need a total bathroom makeover to achieve a great look on a budget. A new vanity is a popular way to make a dramatic change in the look of any bathroom and they come in many sizes and styles from simple to ornate and with single or double sinks. But, if your budget doesn’t allow for a new vanity, consider replacing it with an inexpensive pedestal sink. 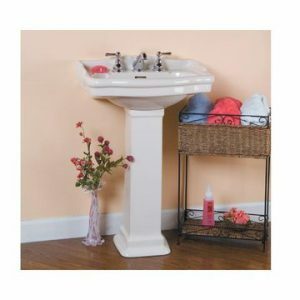 Van Dyke’s Restorers offers a great selection of pedestal sinks starting at $168.00. Add a nice faucet set and mirror or medicine cabinet and you have a new look for under $500.00. Mirrors are a simple and economical way to add a functional focal point to the bathroom. They come in many sizes and styles including wood, metal, picture frame, borderless, and more. Use a single mirror or add more for a larger vanity for a stylish look. 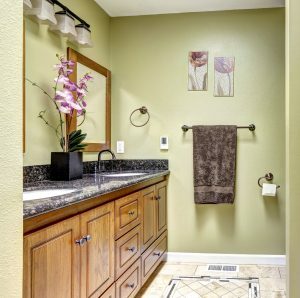 Another way to change the look of the bathroom is adding or replacing bathroom accessories. Fresh paint and bathroom accessories are a great under $500 makeover that will spruce up an old bathroom. Many manufacturers offer bathroom ensemble collections that include toothbrush holders, soap dishes, towel racks, towel rings, robe hooks, and tissue holders. Many collections also have matching toilet handles. Mix and match pieces to create a coordinated look. Accessories are available in every design style from colonial to modern and in a variety of metal finishes. Next, change the hardware and knobs and pulls on the vanity or cabinets. There is no end to the choices here from a few dollars to lavish diamond and jewel pieces to suit any style and budget. Van Dyke’s offers one of the most extensive selections of knobs and pulls you will find anywhere. 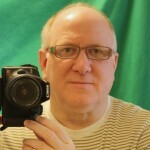 Check out vandykes.com to see the selection of wood, metal, and glass knobs. When you change the cabinet knobs, don’t forget the door knobs. From Rustic to Victorian to Modern, door knobs come in many styles. Knobs are sold in three functions: passage, privacy, or dummy. Lighting is another area that can make a dramatic difference in the look of the bathroom. Vanity lights and wall sconces come in many styles and lighting configurations including, 1, 2, 3, 4, 5, and 6-light sets. From a simple sconce to a multi-light unit, Van Dyke’s has vanity lights and sconces to suit any bathroom style. Even swapping out those boring white switchplate and outlet covers for new decorative metal options will enhance your look—it’s all in the details!